SYRACUSE – As often happens, when one side of the equation gets into a heated battle, the other side often gets lost in the shuffle amidst all the excitement. 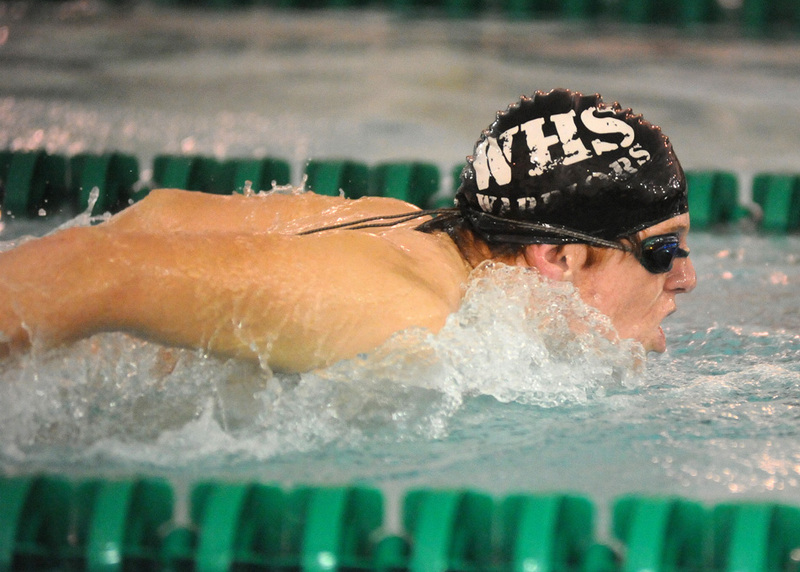 While the Wawasee and Concord girls swimmers were adding another notch to the budding rivalry, the boys dual was somewhat overlooked. The outcome wasn’t nearly as exciting in a 120-66 final in favor of Concord, but both sides were very happy with the results. Wawasee poked its head into the winner’s circle on five occasions, taking a top result in three of the night’s first four events. But Concord would recover nicely, holding off Wawasee in six of the next eight events and letting its depth grab second and third lane points to separate the two teams. Wawasee opened the day with a solid set of six dives from Mylon Betts, scoring a personal-best 217.35 points. Logan Brugh collected his first of two wins in the 200 free (1:50.57) and would later win the 500 free handily at 5:00.85. Brady Robinson continued to improve in the individual medley, winning at 2:05.36 and claimed a nice 1:04.55 win in the breaststroke. Brett Willaman of Wawasee works the 200 freestyle. Robinson would also point out several notable swims, such as Logan Haessig’s 1:01.81 runner-up swim in the butterfly and Owen Donahoe’s 5:46.36 in the 500 freestyle. Wawasee’s 400 free relay team of Haessig, Robinson, Brugh and Spencer Naugler also kept pace with Concord for much of the race, landing just six seconds short (3:38.06) of the veteran Minuteman team. 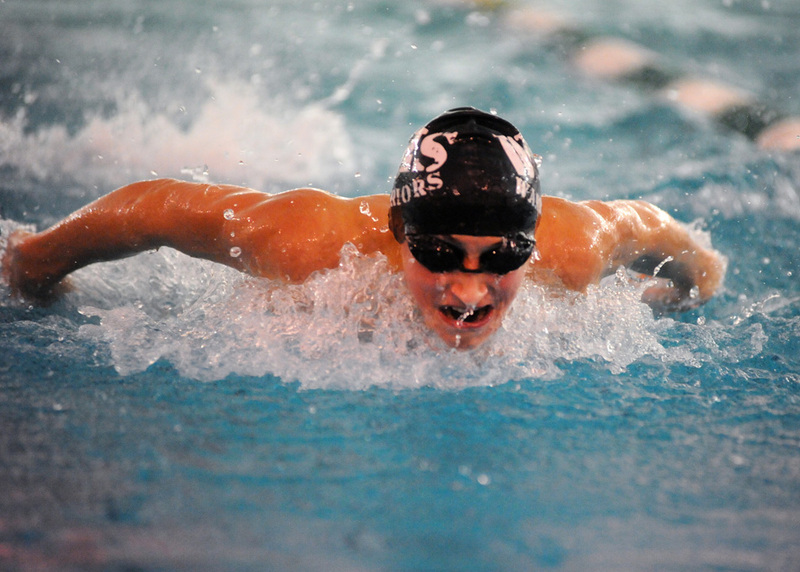 Coach Tom Johnson’s Concord squad took all three relays and had four individual winners Tuesday. Shawn Stauffer won the 50 (23.85), Ivan Morales the fly (1:01.67), Stephen Krecsmar the 100 free (50.99) and Brandon White the backstroke (59.02). The Minuteman medley relay won at 1:48.18, the 200 free relay at 1:37.24 and the 400 free relay at 3:32.47. Wawasee settles at 1-2 overall and in the NLC, and will resume activities next Tuesday in hosting NorthWood. 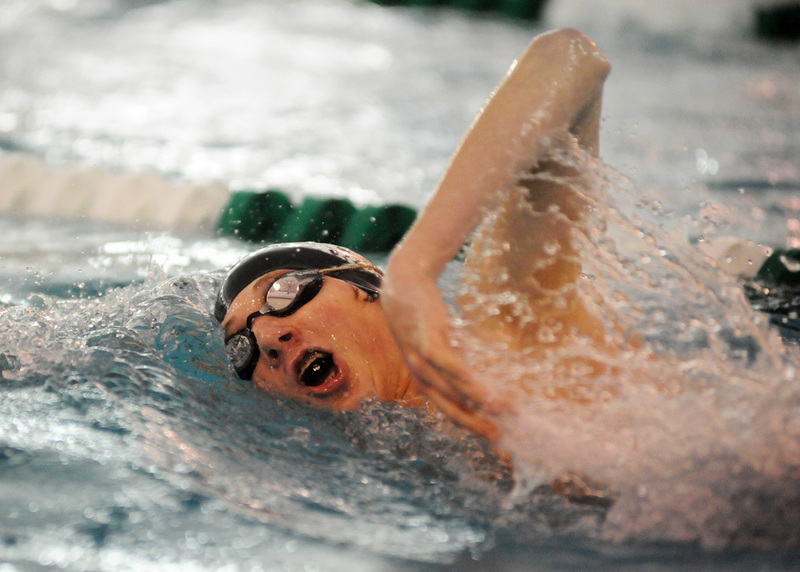 Brady Robinson of Wawasee swims the butterfly leg of his winning individual medley against Concord Tuesday night.